If you are going to have really bad news thrown at you, the best human to drag on a road trip with you is a guidance counselor. She can talk you through it, help you laugh at yourself, and drown your sorrows in a river when she takes you tubing. So, on our adventures the next day we decided to zip-line off a mountain, and we saw a pottery shop as we left where we thought you could paint pottery. As it turns out you can no longer paint pottery, but we took a look around. We saw this set of mugs on the shelf and the lady told us those mugs were really special for a big reason. They were wood fired. This made little sense to us, so she explained further. 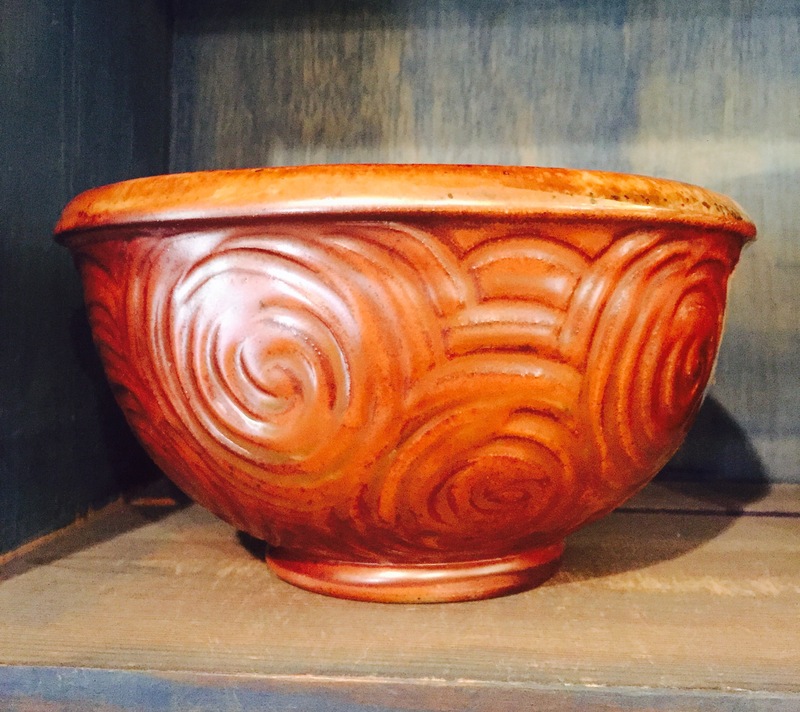 Wood fired pottery is special as the process is not only time consuming, it is labor intensive. Few people use wood as a fuel to fire pottery. It is hard to produce identical pieces because where each piece is placed in the fire creates the results. It’s chaotic in nature, and though it can create beautiful pieces, most potters would rather have a consistent result. Fire will have a range of temperatures throughout the kiln, so each piece will be unique. The mugs she showed us were created identical, but the mugs were not all exactly alike. She explains that there was no glaze on the mugs at all. The fire created the glazed look as the flames hit the surfaces. Flashing is the name given to where the fire hits the piece directly and in the places where the fire touches the unglazed pieces those places are the prettiest. So, if you are a piece of pottery, you want to be directly in the flames. She directed us to another shelf where two bowls were. She showed us they had the same markings, but they were completely different. One bowl was amazingly beautiful up close. The sister to this bowl was okay, but not shiny at all, and would fetch less money. The only difference in them is how much the fire touched them. She took the beautiful bowl down and showed us the inside. It has this amazing looking interior in the bottom and she explained that that was ash glazing. This type of firing made even the ashes beautiful. The ashes get so hot in the kiln, they actually turn into glaze and glass. I was amazed by all of this and then I had this striking thought. Sometimes life burns us when you expect one thing and get another. Sometimes you put a lot of time and effort into something you think is going to be amazing just to be disappointed. Then there are times that we realize that on the other side of the intense heat we feel, we will be better. I guess I’m not ready to leave the fire just yet, but on the other side of this I will be stronger. I will have marks where the fire touched me, but they will be beautiful. Even the ashes will have purpose. Even the ashes leave beauty.